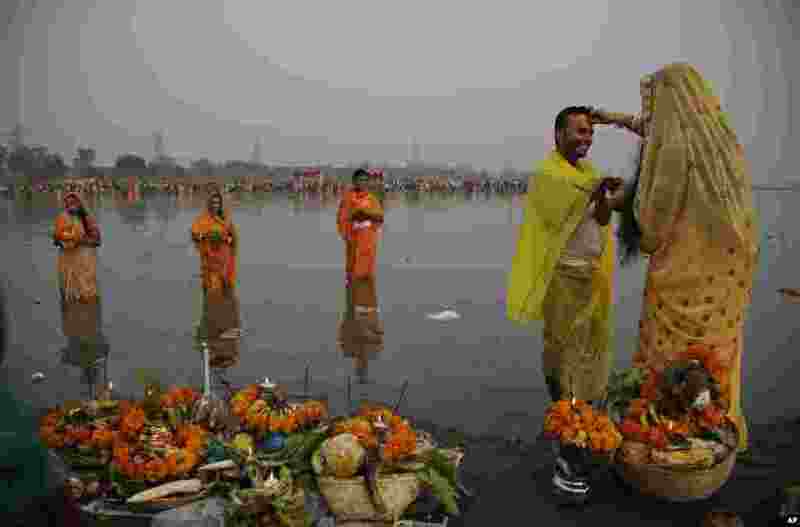 5 A Hindu devotee applies vermillion powder on the forehead of her husband as they perform rituals on the banks of the Yamuna River during Chhath Puja festival in New Delhi, India. 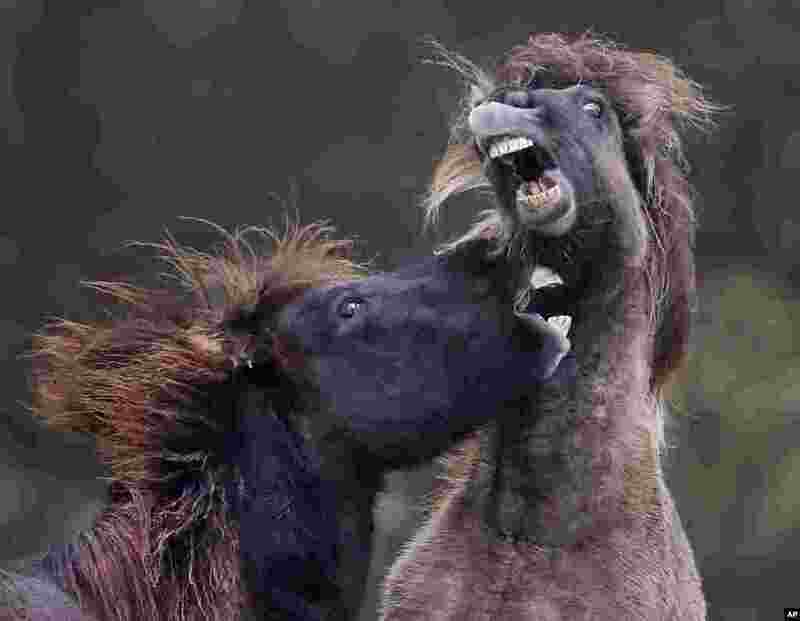 6 Two Icelandic horses play in their paddock in Wehrheim, Germany. 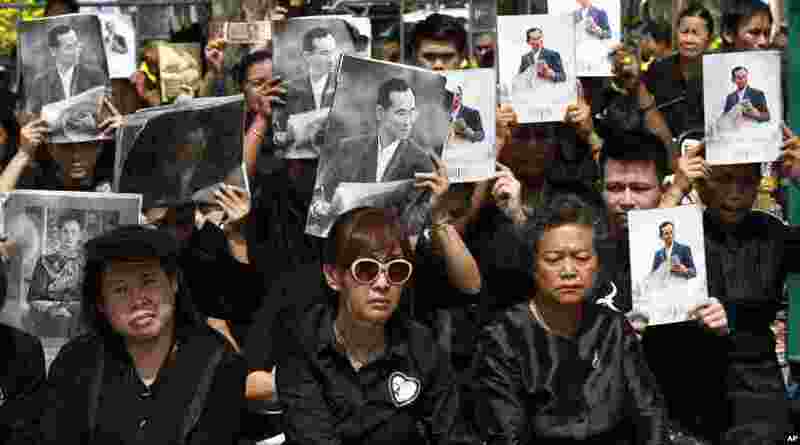 7 Mourners hold aloft the portraits of late Thai King Bhumibol Adulyadej during his funeral procession and royal cremation ceremony, in Bangkok, Thailand. 8 The Bloodhound SuperSonic Car, which will attempt to break the 1,000 mph barrier in 2019, makes its first public test run, at Newquay Airport, in Newquay, Britain.